Carbohydrates, or simply “carbs”, are considered to be the most vital part of a healthy eating diet. 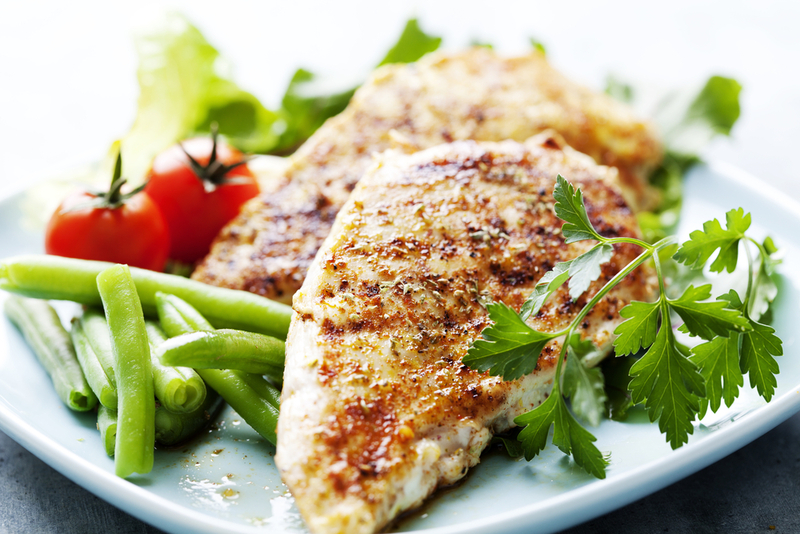 This food group can be classified into two broad categories – good carbs and bad carbs. This classification is based on their chemical composition as well as how your body processes these specific carbohydrates. 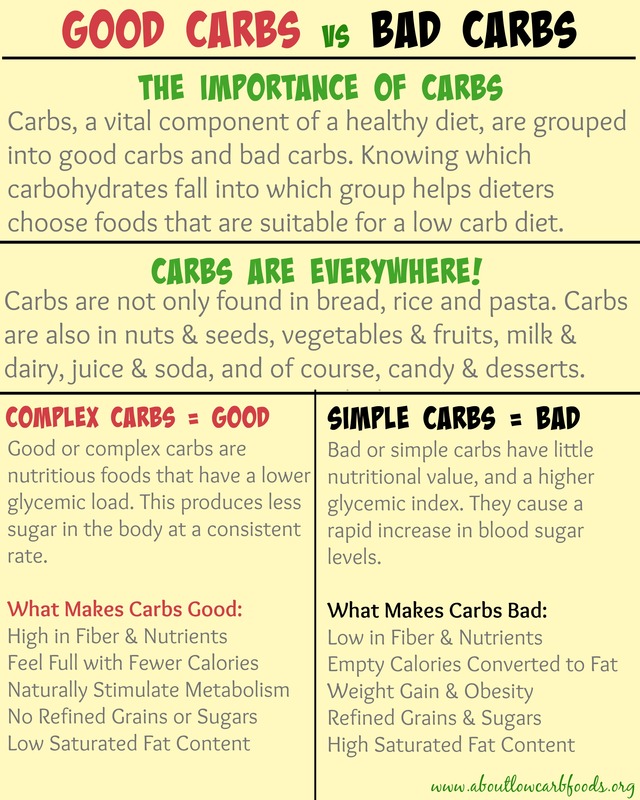 The grouping into foods that contain good vs bad carbs helps dieters choose products that are suitable for a healthy low-carb diet. Good carb foods are nutritious foods that are rich in fiber, minerals, and vitamins. They consist of longer chains of sugar molecules and are essential in producing energy which is used by our body cells. Good carbs, usually referred to as complex carbohydrates, are more beneficial than bad carbohydrates (usually referred to as simple carbohydrates). Why? They have a lower amount of the glycemic load which will in turn direct your body to produce a lower amount of sugar at a consistent rate. This is especially important for people who suffer from diabetes because they have to monitor their blood glucose. 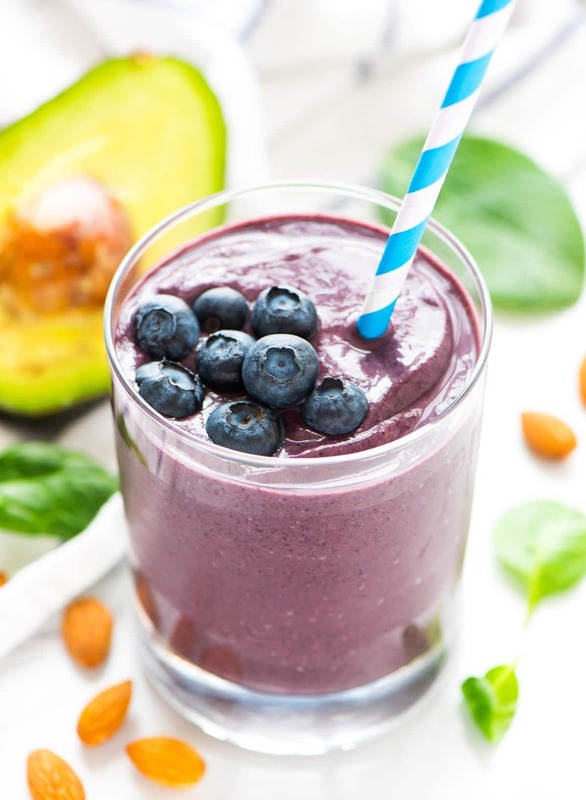 Good carbohydrate foods, such as legumes and whole grains, are also rich in substances that aid toxin removal and help dieters maintain normal cholesterol levels. This, combined with the consistent sugar levels, will keep you moving throughout the whole day. In fact, when you’re trying to lose weight, it is beneficial to eat good carb foods because they help you eat less, yet you feel more energized and at the same time less stressed. Typically low in sodium content. Moderate to low in caloric density. This means that you can eat more to satisfy your hunger without worrying about eating too many calories. Free from refined grains or refined sugars. High in natural fibers which are a great help in maintaining low blood sugar, low LDL (bad cholesterol) and lower insulin levels. They also assist in filling up the fewer calories in order for you to lose weight in an easy way. Low in saturated fat content. Free of trans-fat and have a low amount of cholesterol. On the other hand, bad carbs are mainly composed of simple chains of sugar molecules. These foods contain higher amounts of sugar, lower amounts of fiber, and supply calories with little or no nutritional value in real life. Foods that contain bad carbs are often loaded with preservatives, flavorings, coloring, and other additives. This combination is not good for your body and can cause system failure. Additives may provide desirable qualities but are associated with sudden cardiac death, inflammation, the development of tumors, and other medical problems and complications. Simple carbohydrates are also absorbed faster, causing a rapid increase in blood sugar levels. This in turn leads to weight gain and obesity. Low nutritional value or lack many nutrients that would help your body. High cholesterol, trans-fats, saturated fats and calorie density, and refined sugars. With the comparison above, you can easily see the differences between good carbohydrates and bad carbohydrates, how they function, and help in gaining or losing weight. So, the decision is still in your hand. 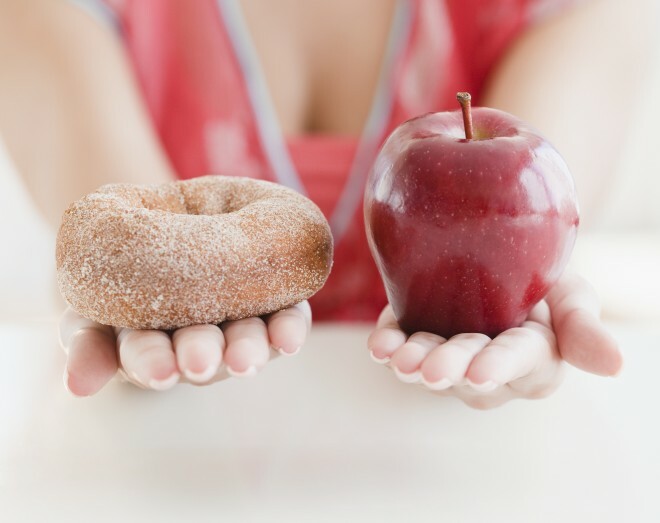 Are you going to go with good carbs, or are you going to be tempted by bad carbohydrate foods?